Maj - Banished Cells II. Gilirion - City Of Ash II. Maj - Darkshade Caverns I.
Gilirion - Crypt Of Hearts I. © 2012-2019 ZeniMax Media Inc. Trademarks are the property of their respective owner. All Rights Reserved. 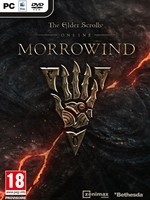 © 2012-2019 elderscrolls-online.cz Obsah webu nesmí být uveřejňován někde jinde bez souhlasu autora nebo vlastníka licence.